A novel based on a true story of one woman’s journey from abuse to love. Silent Lucidity — Fall 2018. 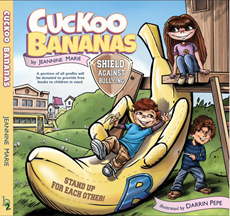 Cuckoo Bananas — Spring 2018.